When you’re worried about house removals in New Malden, KT3, Moving Service are the company who you need to call. We understand how tough it can be to move into a new home, whether it is the time or the effort which is required, meaning that the process can become difficult and stressful. That’s where professional help becomes so useful, with our removals experts in New Malden going that extra mile to make your life easier than ever before. Just give us a call today and find out how much our services can do to help you. But our solutions are not only limited to the domestic removals world, we are always the best choice for those who are worried about moving their business to a new office. We offer the ideal office removals in New Malden for you and your company, getting you the kind of help which allows you and your staff to remain productive and effective while we handle all of the heavy lifting. If you are interested in finding out more about how much we can help you and your company, you can give us a ring on 020 8746 4402 and get a free quote for the best help available. The South West of London is host to many places of historical interest, as well as offering a great deal for those who are living in and visiting the city. This is one of these areas in the borough of Kingston upon Thames and Merton. 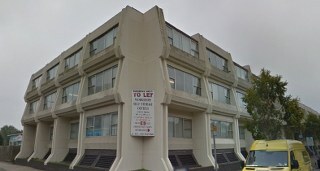 The nearby areas of interest which might pique many people include Kingston, Raynes Park, the Thames River, Surbiton, Tolworth, Wimbledon and Worcester. Like many places which are found around the outskirts of London, this place was formed with the construction of a local railway line during the 1800s. From then, it has grown and become encompassed by the wider metropolitan area. Surrounding the Malden area are places such as Old Malden, West Barnes, Motspur Park, Coombe, Richmond Park, and Wimbledon. There are a number of parks, including the ones which have already been mentioned and Bushy Park and Beverley Park. Residents and visitors can take advantage of a wide range of rail and bus links, which provide access not only to the local area, but to transport which serves all across the city of London. How Can KT3 House Moving Services Help Me? Are you a student thinking about the best way in which to move into a new home in New Malden, KT3? If you’re concerned about what to do at the end of the semester or at any other time, then you can give Moving Service a call and find out how much of a difference the best student removals can make for you. With our experts on your side, you can focus on the school work and other aspects of student life while we make the transition to the new home or property as simple and as stress free as possible. One of the best services which we have to offer is ideal for those who are worried about packing and unpacking. There is no easier way in which you can save yourself time and effort while still being certain that all of your items are packaged in the correct and proper manner. 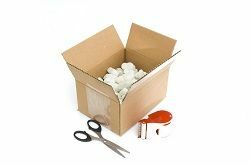 Thanks to the packing services in New Malden which we have to offer, your home or office relocation is made a great deal simpler. To find out more, just give us a call on 020 8746 4402 and get a free quote from a member of our team.